Despite all my fumbles, mistakes, and follies, I was hooked. I fell in love with the outdoors. Not really knowing too much about backpacking and realized I had more to learn to be more efficient with my free time, I went to the bookstore. And I bought a book. The 1995 edition of Karen Berger’s A Trailside Guide: Hiking & Backpacking to be precise. One sunny day in 1996 at Scarborough Beach in Rhode Island, I learned more about hiking and backpacking while reading this book. 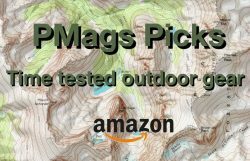 I learned about layers, stoves, food for the trail, shelters, rain gear, and other topics in a concise, readable, and enjoyable format. And for the first time, I read about long walks. The Appalachian Trail in particular. I was reading about the mountains, deserts, and woods in far away places while surrounded by the ocean, the sand, and the sound of seagulls. The passion for backpacking was fanned just a bit more. New lessons and information would eagerly be put to the test over the weekends that summer and fall. This little vignette of my personal outdoor journey is perhaps a good way to introduce the second edition of The Ultimate Hiker’s Gear Guide by Andrew Skurka. Andrew Skurka is, of course, one of the most well-known backpackers in the world at this point. And that is not hyperbole. I won’t cover Andrew’s credentials or history in more detail. I assume most of my readers are familiar with Andrew’s backpacking experience and know-how. Nick Gatel has an excellent summary for those who wish to know Andrew’s background in more detail. Having established Andrew’s credentials, how is the book itself? Will it help someone not as experienced with backpacking learn some needed skills, techniques, and equipment knowledge to help their backpacking pursuits? 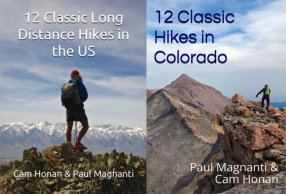 Much like Karen Berger’s book written nearly twenty-five years ago, Andrew’s book is not meant to be a comprehensive guide to almost every aspect of backpacking and related subjects as with the books Mountaineering: Freedom of The Hills or Colin Fletcher’s Complete Walker. Andrew’s book is a backpacking survey course in written form. 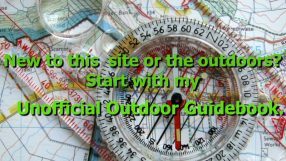 A way for a beginner or intermediate level backpacker to get acquainted with topics and insights that can then be put into practice while in the field. A more detailed book may be overwhelming for newer backpackers and perhaps better suited as a long term reference book. And frankly, in this time of a plethora of material available online, maybe it is better to have concise, readable and on-point information readily consumed. Ancillary material can be found online in many cases. Including Andrew’s site. An overview of gear and concepts rather than specific pieces of equipment is refreshing. Though specific pieces of gear are mentioned when appropriate, the writing about the types of gear and the concepts for their use means the knowledge and ideas in the book will have a long shelf life. Knowing why a 100 wt fleece is a good item to have in the kit is more useful than reviews of three different 100 wt fleece pullovers from various manufacturers. Budget items and more cost conscious pieces of gear and equipment are discussed. Bravo! Economical 100 wt fleece is mentioned, and my favorite “bang for the buck” puffy pants are discussed. There are many such items listed. And not just budget models, but also mid-range gear available from such non-outdoor suppliers as Costco or fast-fashion retailers such as Uniqlo. Not everyone can, or needs to, purchase the highest of the high-end equipment. By listing and evaluating some less costly items, Andrew makes backpacking less daunting from an economic standpoint. The Core Thirteen clothing concept is perhaps Andrew’ most interesting, original, and helpful writing in the book especially when paired with the gear lists in the appendices. I think many experienced backpackers have instinctively moved beyond the traditional three or four layer principle (base layer, mid layer, shell, insulation) and mix and match as needed based on conditions, type of trips, the length of trip, etc. Andrew breaks down this concept with great detail in a logical and usable manner. While the classic three or four layer model is still useful for a quick and dirty description aimed at people new to backpacking, The Core Thirteen discussion is much more nuanced, and in the long run, more useful and practical than the traditional layer analysis. The gear lists at the end of the book for different environments and trips illustrates this concept rather well and will help a backpacker prepare for a trip using Andrew’s Core Thirteen concept discussed earlier in the book. Mistakes are reviewed and are teachable moments. A sign that a person is comfortable with their knowledge and abilities is that a person will use their mistakes to instruct others. Andrew’s foibles from previous journeys are laid out in various sections. Besides bringing a chuckle or two, the mistakes help anyone new to backpacking learn in an easier way than many of us did! A maturation in the view of the outdoors. Many of us who walked the longer hikes realize walking a long trail or route is not the end all for the pinnacle of backpacking experiences. Similar to many of us, Andrew has followed an arc where different types of trips are enjoyed that have different goals, equipment kits, pace, or experiences that differ from 30+ MPD thru-hikes. The writing is more nuanced, thoughtful, and personal than the previous edition of the book in my opinion. And that is a good thing. Having a career, a long-term relationship, different responsibilities, and learning to enjoy different types of trips, gives a person a broader view of the outdoors…and perhaps life in general. A view beyond following a route for weeks or even months at a time. True for me. I suspect based on the reading of the book, Andrew may feel similar. If I have a minor quibble with the book, is that the section on navigation could have used a quick tutorial on a map, compass, and possibly GPS use. Reasons for brevity in the book may have been why there was this omission. However, there is a link for learning more about pack rafting in the appropriate book section. Perhaps a suitable link for navigation may be found in future editions of the book? In the end, The Ultimate Hiker’s Gear Guide is an excellent book for someone looking to delve into backpacking, learn some techniques, put together a kit, and gain knowledge that will be used for any backpacking pursuits for years to come. Andrew’s words are on-point, has needed information gathered in a concise form, is well-written and is an eminently readable book to get ramped up for the wonderful activity known as backpacking. Sitting on a beach in Rhode Island while reading the book? Strictly optional. Disclosure: The Ultimate Hiker’s Gear Guide was provided to me free of charge. I have also guided with Andrew on some of his past trips.